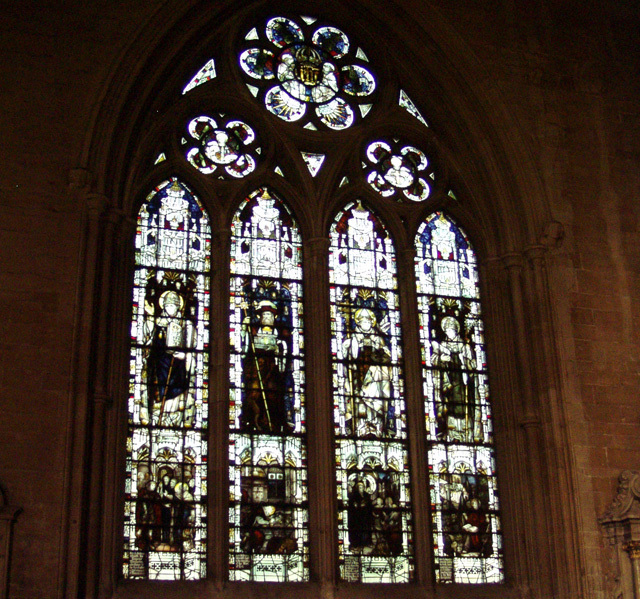 The oldest stained glass dates from the mid 19th century. 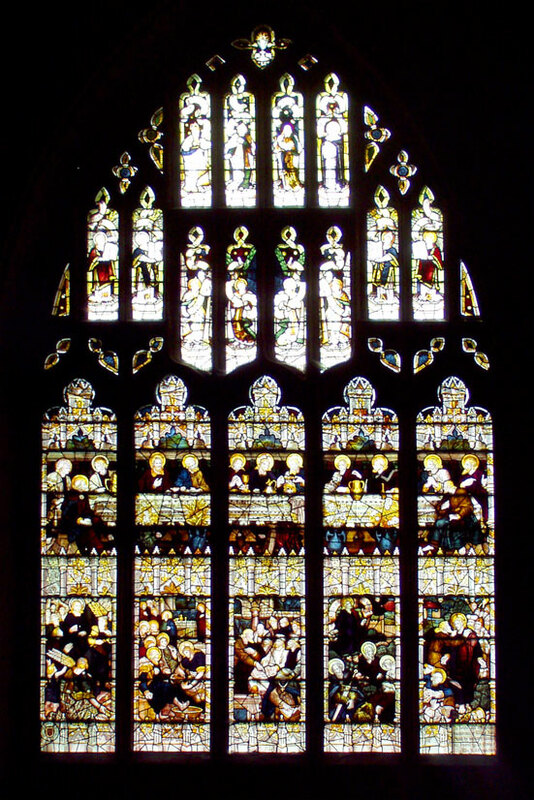 During the next 120 years a rich variety of glass has been added. 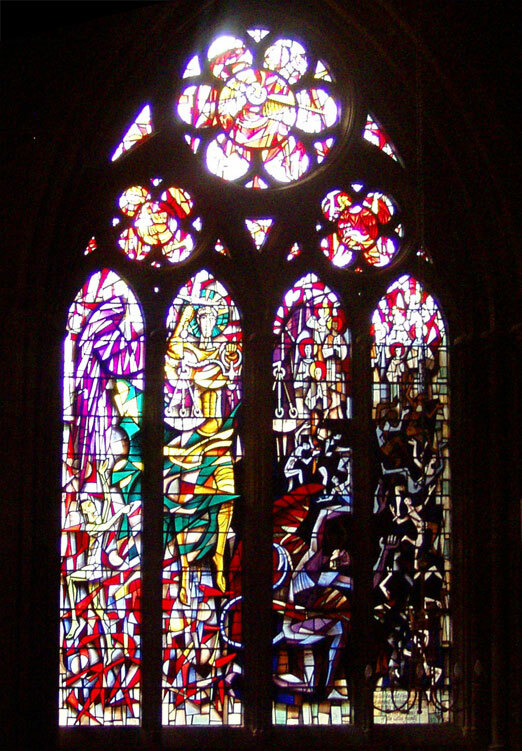 Very little is known of our medieval glass. Each window displays a style popular when commissioned providing dramatic variety. 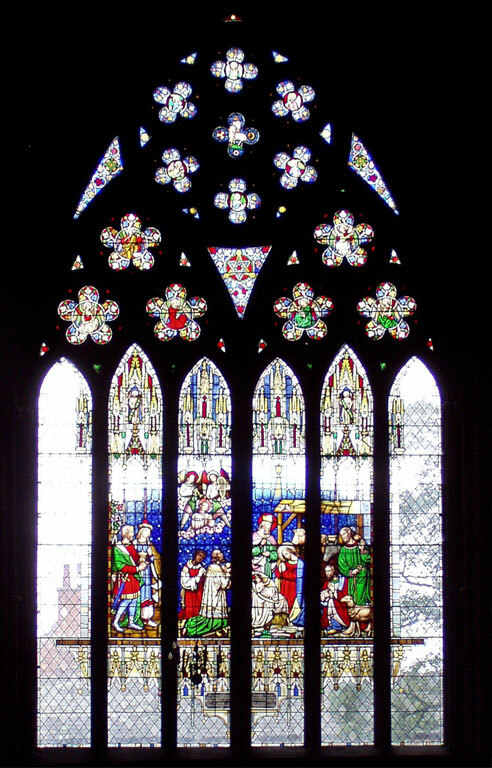 All are high quality and include work of Charles Kempe, John Hayward, Leonard Evetts and Harry Harvey. 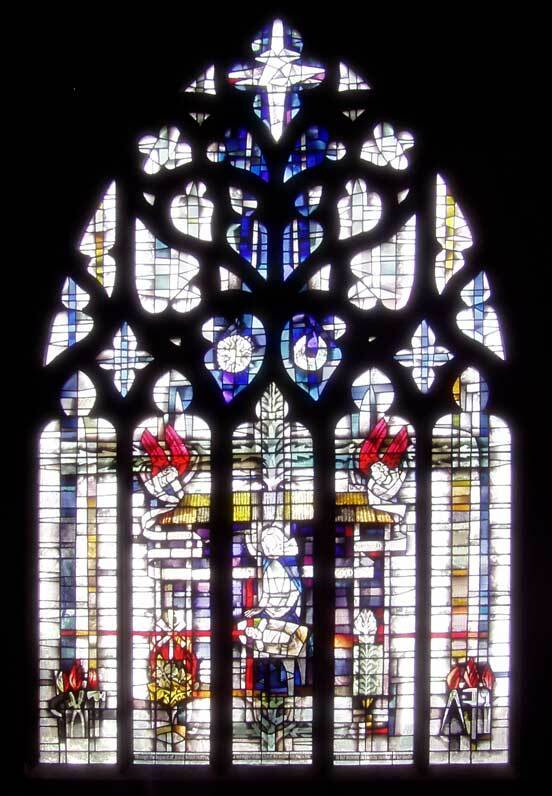 Notice how the the design of the glass has been affected by the window tracery. 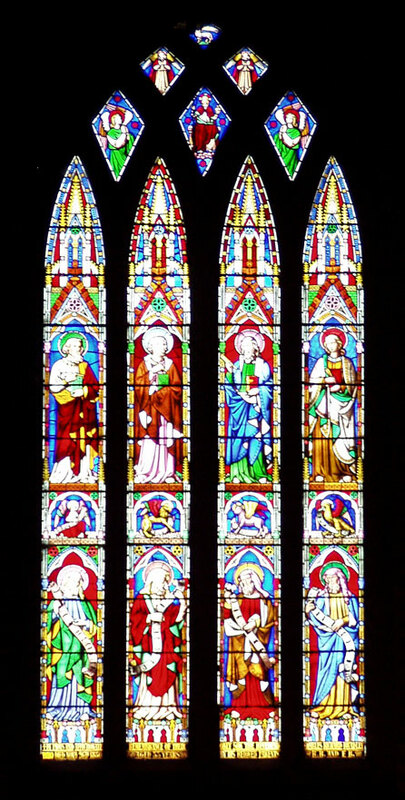 Most windows are memorials and given by widows, families and parishioners also showing their deep affection for the building they beautified. 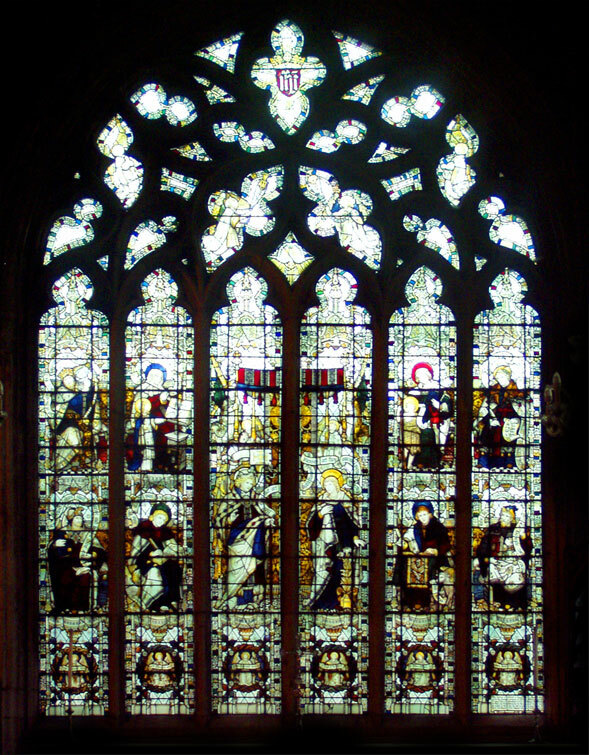 Lady chapel, east window, showing the Virgin Mary. 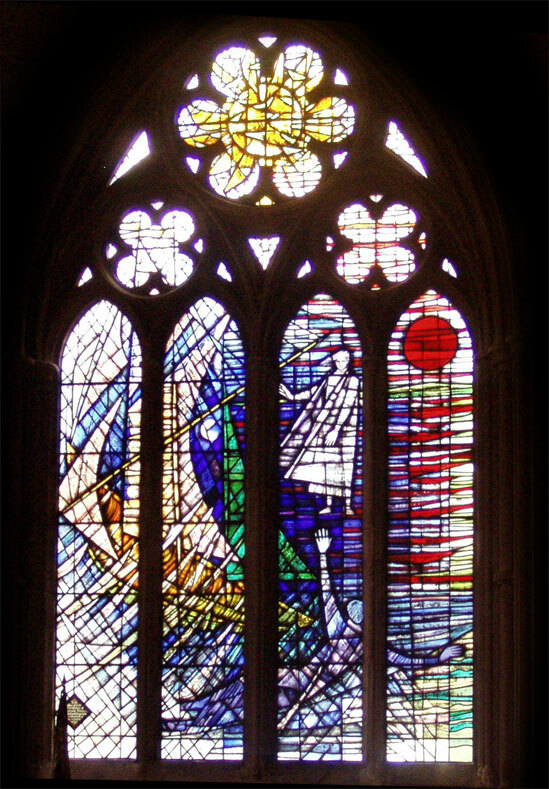 Showing St. Michael, By Harry Harvey, 1962. Showing the meaning of Christ’s birth and life. 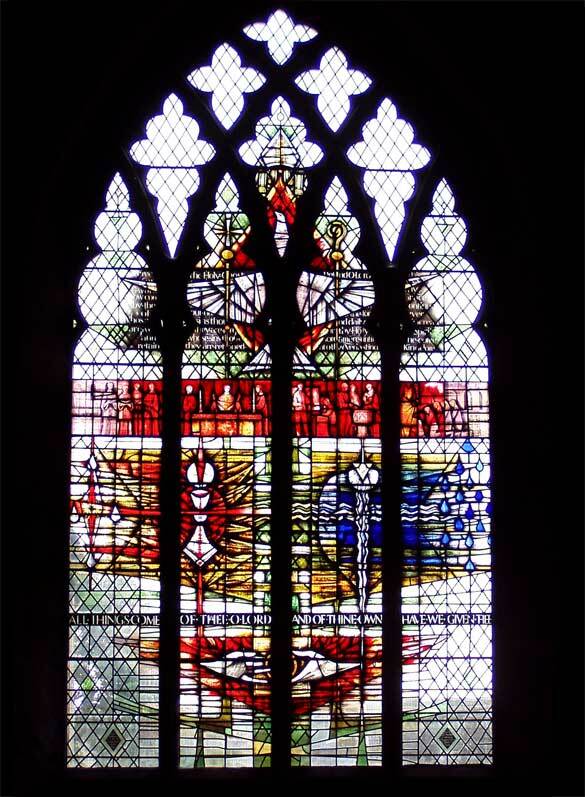 Copying from this website is only allowed with written permission from The Friends of St. Wulfram's Church. will not share these details with any other company or institution without consent.